Challenge #9: Do one thing today to support a cause or issue you really care about. 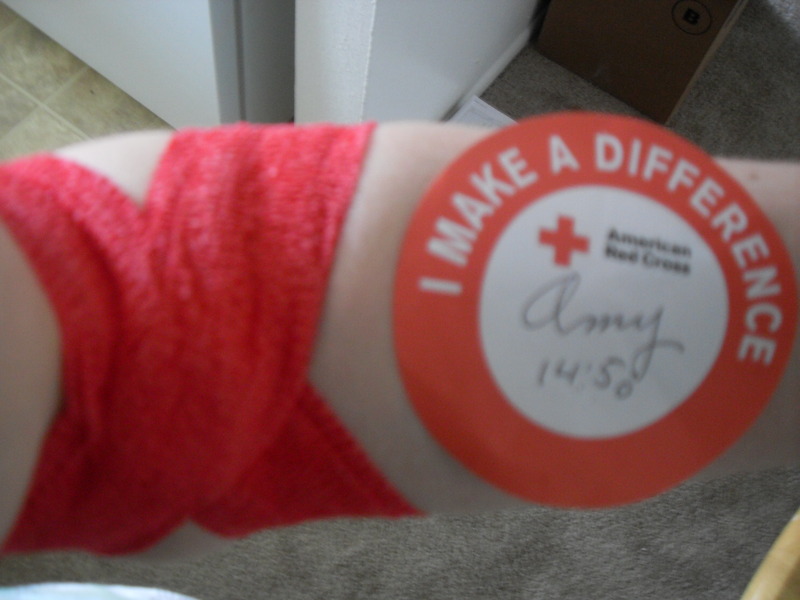 Today I donated my blood to the American Red Cross. I had to put this one off a few days because it’s better to make an appointment than to be a walk-in. My plan was to have the phlebotomist take a picture of me as my blood slowly drained from my open vein. Alas, I forgot my camera. But I had a swell time! I used to donate blood as often as you’re allowed to – every 8 weeks. Then, of course, I got “too busy.” It seemed like the perfect way to complete this challenge. I began donating blood a few years back to impress a guy. He actually wasn’t all that impressed, but no matter. It became a habit and a good way for me to give back. The next volunteer I met was Jordan, who is Armenian and is actually from Southern California, not too far from where I grew up. We had a splendid conversation as he was sucking my blood away 🙂 I brought a book to read, but I didn’t need it because Jordan was so personable! Even the guy sitting laying next to me (his name was Mark) joined in on the conversing. Never have I had a better time giving blood! After I was done, I got water and some Nutter Butters. What could be better than that? Posted in Mental Health and tagged adultitis, good cause, humor, inspiration, mental health, wellness. Bookmark the permalink.